The World Health Organization identifies depression as the leading cause of disability on the planet, and it is an illness with no single cause. Symptoms can vary from person to person as depressive disorders come in different forms, and the efficacy of treatments is different for each sufferer. Understanding the biological underpinnings of depression is widely seen as the next frontier for research in the field, and this is one of the driving causes behind the Labatt Family Network for Research on the Biology of Depression. Announced in February 2019, the Labatt Family Network will pioneer innovative approaches to depression research, advance our understanding of the biology of depression and foster the next generation of research talent. 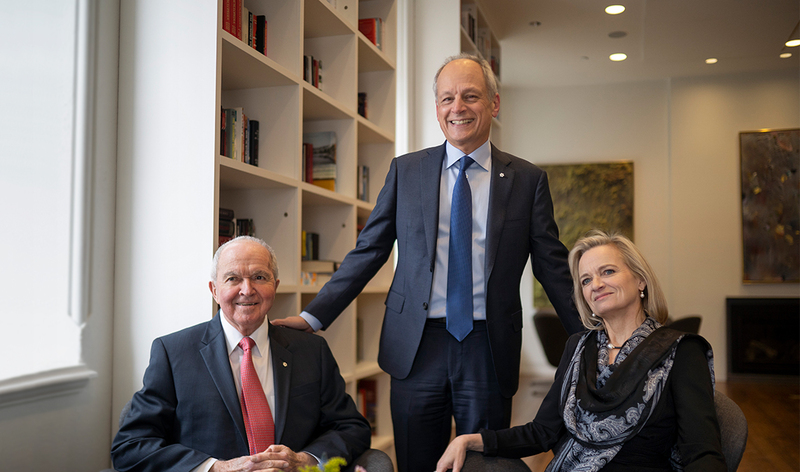 The Labatt family’s generous $20-million gift establishes two Labatt family chairs at U of T with links to the Centre for Addiction and Mental Health (CAMH) and the Hospital for Sick Children (SickKids), and funds a professorship, numerous fellows, residents and early-stage scientists working across Toronto’s biomedical ecosystem. The Labatt Family Network’s principal aim will be to push beyond institutional and disciplinary boundaries to find new pathways of discovery.